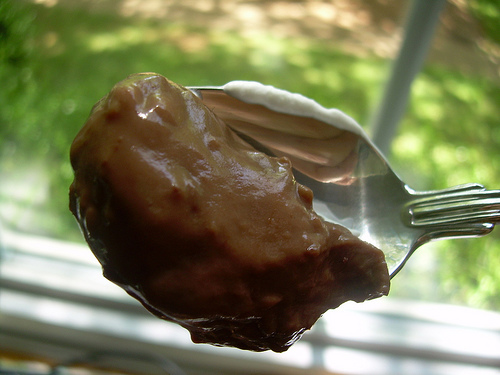 TWD- Success with Almond Milk Butterscotch Pudding! I’ll be posting photos later today, but I just wanted to say that I made the recipe exactly as written, except that I substituted Almond Breeze almond milk (original flavor) for the milk in the recipe. Many thanks to Donna of Spatulas, Corkscrews & Suitcases for choosing Real Butterscotch Pudding on page 386 of Baking: From My Home to Yours. Some of you may remember that I had no luck when I made the arborio rice pudding, but that was not the case this time. Both Master Chow and I have milk allergies (his is a lot worse than mine), and pudding is one of those desserts that just sends our immune system into over drive. This is not lactose intolerance, folks, it’s an allergy, but I LOVE, LOVE, LOVE butterscotch pudding, so I was determined to make this. Success! For some reason, cream doesn’t cause the same reaction as straight milk, so I left it in the recipe. This is a delightfully buttery, creamy, scotchy recipe (I used Chivas Regal 12-year aged whiskey), that will find a permanent spot in my cooking repertoire. 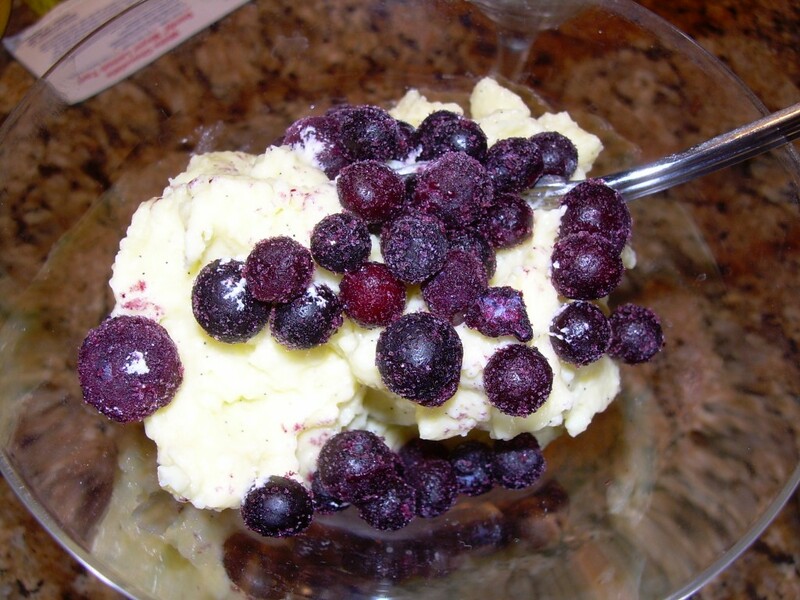 I licked clean every bowl and cooking utensil that I used to make this. I did not want to wait until I had refrigerated the pudding, I loved it so much. 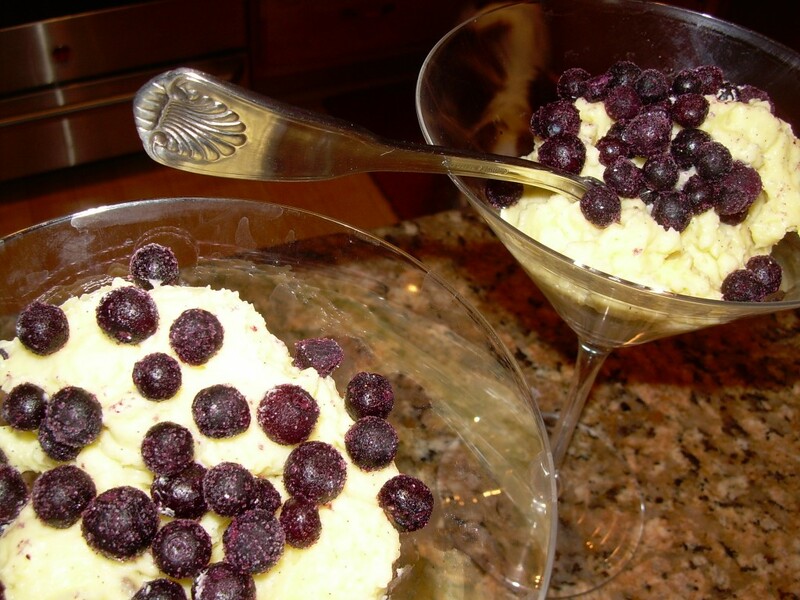 Try this recipe – it’s fabulous! A couple of thoughts: real butterscotch pudding traditionally does not have any booze in it, but Dorie has made me a convert. My point is, if you don’t want it in the recipe, leave it out. Second, save yourself a lot of hassle, and if you want to avoid all the pots, pans, food processors, etc., just get yourself a good immersion blender and do the whole thing in a pot and another bowl for tempering. To see the results of the other bakers, check out the TWD blogroll. Now, excuse me, I have some more pudding to eat. 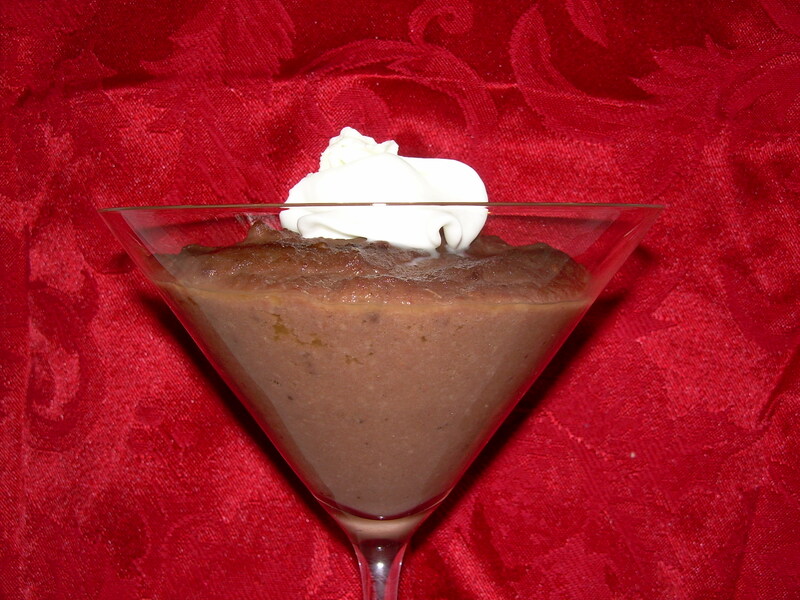 Recipe after the jump . . . .
continue reading "TWD- Success with Almond Milk Butterscotch Pudding!" This week, Isabelle of Les Gourmandises d’Isa picked Arborio Rice Pudding. We could make chocolate, or vanilla, or both, and I chose vanilla because chocolate rice pudding is . . . just not right. It threatens the order of the culinary universe. Lesson learned: recipe does not work with almond milk, which I decided to experiment with because Master Chow has a mild milk allergy. I knew I’d have problems getting it to set given the experiences of other TWD bakers, who made the pudding with whole milk. Needless to say, I did not take a picture of the odd-tasting “soup.” I’m going to try this again, and I will increase the amount of arborio rice up to about 1/2 a cup, and use a combo of almond milk and cream (which he can tolerate), and see how that works out. To see how others fared (and some of the flavor combos were wonderful), check out the TWD blogroll. This was a public service announcement: Madam Chow, conducting failed mad experiments with rice pudding, so you don’t have to! Update: some lactose intolerant folks are mentioning that heating milk seems to help. Thanks for the tip, but Master Chow is actually allergic to milk proteins, and is not lactose intolerant, so heating doesn’t help, but I’ll keep the tip in mind! Sorry about the poor photo, folks, but I’ve been messing around with new technology, and that’s always a dangerous thing! When I was about 14, I went through a phase where, once a week, I’d make some kind of homemade pudding, usually chocolate. Personally, I think the skin that forms on top is the best part! We never made pudding from a box, and the whole instant pudding thing fascinated me – until I tasted it. 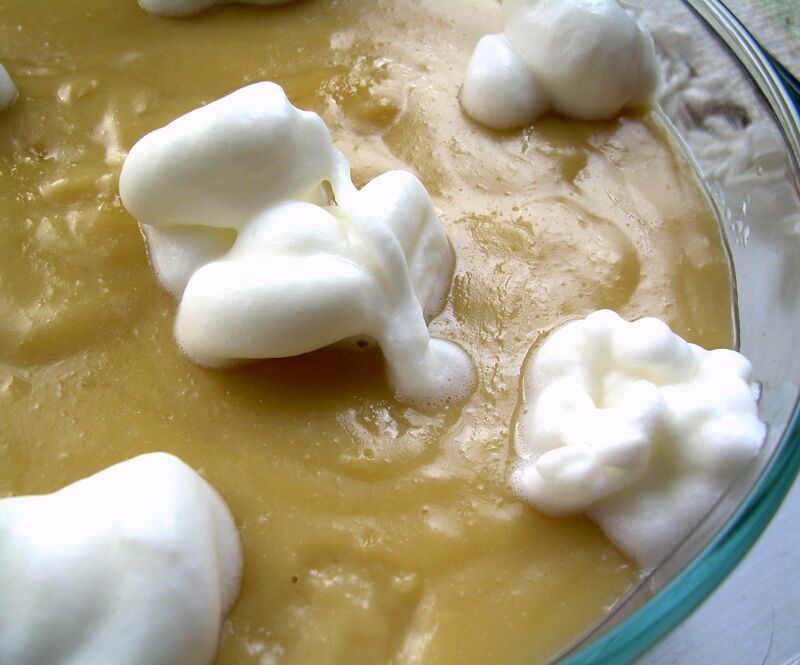 If you’ve never made pudding from scratch, you should give it a try. The depth of flavor and creamy texture make the commercial stuff pale in comparison. 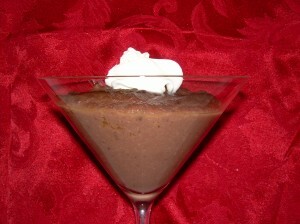 Just one bit of advice: don’t use nonfat milk (low fat is OK); I find that the pudding just doesn’t set up quite right. As has been my wont lately, I completely forgot to add the vanilla extract to this, and it still tasted good. I got distracted (by my two sous chefs), the pudding boiled, so the texture was off, and I STILL found myself licking the pot. Bottom line: homemade pudding is the way to go, and I’m looking forward to the butterscotch pudding recipe in the book. Thanks to Melissa from Its Melissas Kitchen for this week’s pick. You can find the recipe on her blog, or on page 383 ofBaking: From My Home to Yours . For a look at how others did with the recipe, check out the Tuesdays with Dorie blogroll.